This month, we’re happy to feature Master Ryan Andrachik of Asian Sun Martial Arts. Now with 11 locations and growing, Master Ryan and Asian Sun have seen some impressive growth throughout the state of Ohio. 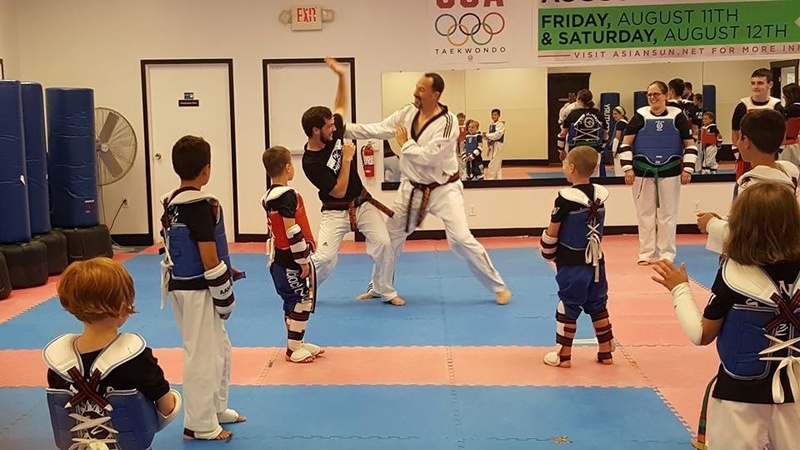 As an 8 th Dan Black Belt, Master Ryan trained under the formidable Grandmaster Il Joo Kim and has now produced 18 Masters himself, along with over 300 black belts. Learn more about Master Ryan and Asian Sun, in this short interview. develop. I knew I wanted my own school at age 12. Sun apart from other schools? staff is so great is because they love what they do. CW: Where do you see Asian Sun in 5 years time? successful. I could see us at 20 locations. CW: What is the top piece of advice you would give someone opening a martial arts school for the first time? RA : Speak to someone who has done it successfully already; don’t try to reinvent the wheel on your own. The martial arts business has changed so much in the last 30 years, with most of the change coming in the last 5 years. Find a mentor and listen to them. I would have saved many thousands of dollars if I could have spoken to my future self when I first started! most important for your classes? RA : For us, there is no other software that lets us manage our multiple locations. There is no point in teaching if you cannot collect tuition and pay your expenses. RA : We were the largest martial arts client of a major billing company before joining PerfectMind. When our students would have a billing question, they didn’t want to speak with a billing service and would become upset so we were able to bring billing back in house. No one will take care of our students like we will. Another major advantage that PerfectMind has is the ease of enrolling people electronically. Doing it on paper was just painful. Want to learn more about how ChampionsWay can empower and grow your martial arts school? Get started with a free demo of the only true all-in-one software solution for martial arts schools.